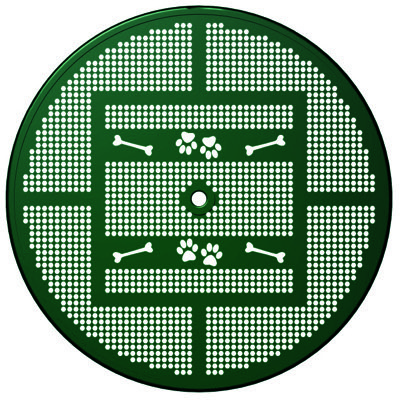 The Chow Hound Table features laser cut dog themed detail to coordinate with your BarkPark play components. Choose green or blue planks with black frames to coordinate with your BarkPark. The Chow Hound Table has a 46" table top surface area and durable 1-5/8" O.D. frames reinforced by a 1-1/16" O.D. brace. 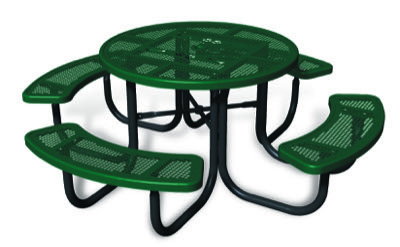 Table and seat tops are finished in a reliable thermoplastic coating while frames are powder-coated, delivering top protection and lasting appeal.